Scores of experts and analysts have feared for months that it would happen, and now it has: Radiation from the heavily damaged nuclear power plants at Japan’s Fukushima complex has made it into the seafood chain off the coast of America. Small amounts of cesium-137 and cesium-134, both radioactive elements released after a major earthquake-caused tsunami damaged at least three reactors at the site along Japan’s northeastern coast in March 2011, have been found in at least 15 tuna that were recently caught off the coast of California, scientists have said. The finding suggests that the fish may have carried the contamination across the Pacific Ocean faster than wind or water has been able to do, and months earlier than wind and water brought debris from the damaged nuclear plant across the ocean to the shores of Alaska and the Pacific Northwest, said Reuters. Researchers said that, so far, the levels of cesium found in the fish are not high enough to harm humans if consumed, according to data published in the journal Proceedings of the National Academy of Sciences. Daniel Madigan of Stanford University’s Hopkins Marine Station did not make a determination about the safety of the fish, though he did say the amounts of radiation detected in the tuna are far less than Japan’s safety limit. Madigan said researchers found higher levels of two radioactive isotopes of the cesium element, 137 – which was present in the eastern Pacific before the disaster at Fukushima Daiichi – and 134, which is caused only by manmade activities and wasn’t present before the tsunami smashed into the plant. Since cesium 134 only exists through human activity, such as nuclear power plants and the manufacture of nuclear weapons, Madigan’s team figured the 134 they were measuring had to have come from Fukushima. “There was about five times the background amount of cesium 137 in the bluefin tuna they tested, but that is still a tiny quantity, Madigan said: 5 becquerels instead of 1 becquerel (It takes 37 billion becquerels to equal 1 curie; for context, a pound of uranium-238 has 0.00015 curies of radioactivity, so one becquerel would be a truly miniscule proportion),” Reuters reported. Not much contamination, but how much is too much? Bluefin tuna only spawn in the western Pacific, off the coasts of the Philippines and Japan. The researchers believe that the elevated radioactive isotopes came from Fukushima because of the way the tuna migrate across the Pacific Ocean. As young fish, some of them tend to migrate off the coast of California, and then remain there as they grow. Judging by the size of the tuna examined (about 15 pounds), researchers believe the fish left the waters off Japan about a month after the accident. Most of the radiation from the damaged plant was released only for a few days in April 2011. Unlike some other compounds, radioactive cesium doesn’t sink quickly but instead remains spread out from the ocean’s surface to the seafloor. That means fish can swim through it and ingest it through their gills, researchers said, or by either taking in contaminated sea water or contaminated organisms. Madigan said bluefin tuna off Japan’s coast soon after the accident probably had much higher levels of cesium 134 present in their bodies, perhaps as much as 40-50 percent more than normal. Still, the fact that any radioactive contamination has showed up off the nation’s coastline at all should be cause of concern because, as Madigan himself noted, it’s hard to say what levels of contamination in our food are ultimately dangerous enough to cause harm. Related: Should We Hide Low-Dose Radiation Exposures From The Public? Hardly reassuring. Any amount of radiation in food is dangerous.-Ed. Those looking for evidence of the March 2011 Fukushima Daiichi nuclear disaster in Japan may need search no further than their next plate of sushi, Stanford University researchers report. The researchers tested 15 Pacific bluefin tuna that had migrated from Japan to the California coast and found that the levels of radioactive cesium in these fish were 10 times higher than those found in bluefin tuna from the years before the disaster. Before you swear off your maguro nigiri, it’s important to realize that the levels of radiation the researchers found from the cesium in the tuna were exceedingly low — about 30 times less than the amount of radiation given off by other common, naturally occurring elements in the tuna we eat. The findings appeared Monday in the Proceedings of the National Academy of Sciences. “The finding should be reassuring to the public,” said Timothy J. Jorgensen, associate professor of radiation medicine at Georgetown University, who was not involved with the study. “As anticipated, the tuna contained only trace levels of radioactivity that originated from Japan. These levels amounted to only a small fraction of the naturally occurring radioactivity in the tuna, and were much too small to have any impact on public health. Still, the fact that the researchers could trace this radioactive material back to its source in Japan could have implications for seafood monitoring methods in the future. Dr. Michael Harbut, director of the Environmental Cancer Program at Wayne State University’s Karmanos Cancer Institute in Detroit, agreed that the findings are no cause for panic. But he said that the finding that tuna and migratory food animals could carry this radioactive material so far across the ocean deserves consideration. Harbut, who described himself as a physician, scientist and “guy who likes sushi,” added that while the levels of radiation found should not be seen as a direct threat to human health, scientists should focus their efforts on how this extra little bit of contamination fits into the bigger picture of food safety. For now, the findings may be most important as a demonstration of how migratory food animals connect different areas of the globe — and how an event in one part of the world can affect food animals in an entirely different region. 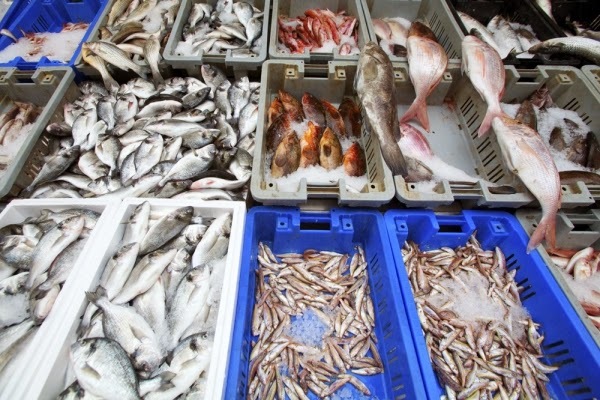 “[The findings] should be of value to both environmental studies of the marine ecosystem and to ensure that the public is not exposed to seafood contaminated with significant levels of marine radioactivity,” Jorgensen said. Harbut said that the next step is for governments to learn more about this issue and act appropriately to ensure the seafood safety. 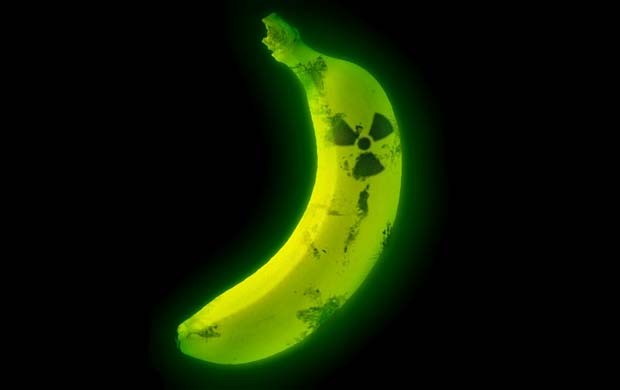 We are routinely told that irradiation can’t possibly make food radioactive. It’s a lie. The official stance of both the US and UK, that radiation is not induced by the process, is false. It is, in fact, an outright lie. It has been understood for decades that irradiation of food renders it radioactive. The question isn’t whether it happens. The question is how serious the health risk is. The fact that food irradiation carries significant and well-documented danger to health should have resulted in it being stopped before it was ever implemented. That it hasn’t tells us all we need to know about the purpose of our regulatory agencies. Ultimately, though, what’s more upsetting is learning that we’ve been outright lied to about the most fearful aspect of food irradiation. Radioactivity is induced by it. 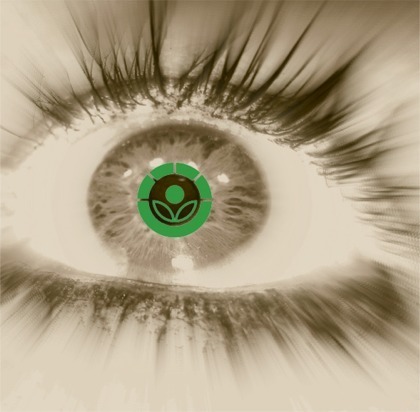 No less an authority than the International Atomic Energy Agency (IAEA) has clearly documented that irradiation of food induces radioactivity. Medical journals have documented it. The FDA regulates the acceptable amount of induced radiation in food packaging, all the while claiming that the food itself isn’t affected! While documenting that irradiation induces radioactivity in food, the IAEA’s report(1) tries to diminish its significance by comparing it with background radiation. However, it isn’t a matter of one or the other, background radiation or irradiation-induced radiation. It’s the sum of both that matters—not to mention other sources that should be added in, such as medical test devices and airport scanners. They are all additive. Another problem is that food is ingested. Foods that have become more radioactive through irradiation are taken into the body and become part of the cellular makeup. Therefore, the effects of irradiation-induced radiation in foods may be worse than other sources. Should We Be Concerned About Irradiation-Induced Radioactivity in Food? 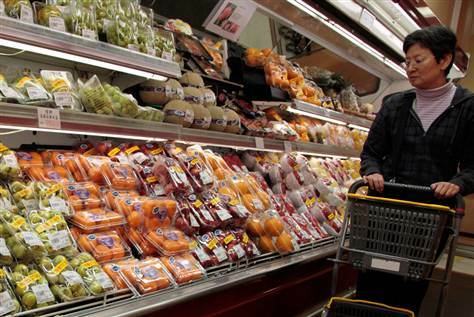 Exactly how bad is irradiation-induced food radioactivity? That’s a good question—one that is studiously ignored by the powers-that-be. After all, it’s rather difficult to do research on something when the official stance is that the problem doesn’t exist. Of course, we do know that many studies documenting harm from irradiated foods have been done. Interestingly, much of that harm tends to coincide with the sort of damage done by radiation. In 1968, the FDA ended the practice of irradiating bacon for military personnel after learning that lab animals fed irradiated food died early and suffered from a rare cancer, other tumors, reproductive problems and inadequate weight gain. All of these are associated with radiation exposure…yet the FDA now says that irradiation doesn’t harm foods or make them radioactive. This is the Environmental Protection Agency’s (EPA’s) answer to the question(2), Can irradiation make food radioactive? No. Food does not come in contact with radioactive material during food irradiation, and cannot be contaminated this way. Radiation that is too energetic, however, can disrupt the energy balance in the nuclei of food atoms, making them unstable (radioactive). This is known as induced radioactivity. Electron and x-ray beams can be energetic enough to induce radioactivity. To prevent induced radioactivity, FDA limits the energy of the radiation from these sources to less than 4 mega-electron volts. Radiation from cobalt-60 sources is not energetic enough to induce radioactivity. Isn’t that cute? First, the EPA answers with an unequivocal no, stating that food “cannot be contaminated this way”. Then, they go on to describe two methods that can induce radioactivity, while claiming that the FDA’s limits prevent it from happening. But, that simply is not true. The IAEA’s report clarifies that fact. There are three methods of irradiating food: gamma rays, x-rays, and electron beams. At first glance, it would seem that electron beams and x-rays would be preferable, since they are not radioactive. The issue, though, isn’t whether the tool used to irradiate foods is radioactive, but whether it results in radioactivity in the food. Remarkably, there is some information to indicate that x-rays produce more radiation in food than the other methods. Comparisons between irradiation methods can be difficult. Further complicating things is that different elements in foods react differently. Iodine, for example, is a necessary nutrient that is easily made radioactive, and is the element on which most emphasis is placed. Because different foods respond in different ways, absolute conclusions about all foods and all methods of irradiation can’t be made. However, some generalities can be drawn. The Report clearly stated that gamma rays and high-speed electrons can induce radioactivity in food.